Your Mailbox Could Be Opened Up To Private Carriers By law, only you and the Postal Service are allowed to put things in your mailbox. But what if companies like FedEx and UPS could do it too? That could happen under a Trump administration proposal. It's been losing money for years, including a $3.9 billion loss in fiscal 2018. It's no surprise. 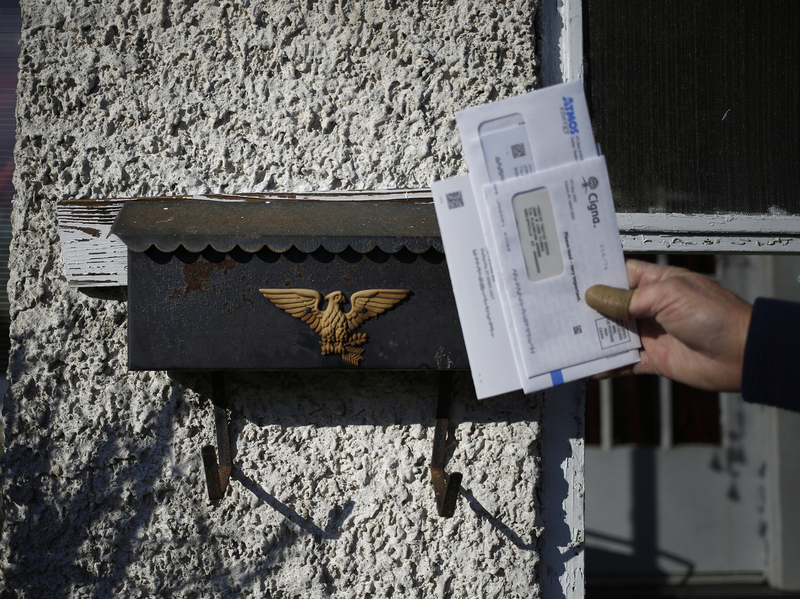 People are mailing fewer letters — first-class volume dropped by 2.1 billion pieces last year. To help offset that drop, USPS raised stamp prices by 5 cents in January — its largest increase ever. If the Trump administration's recommendation is implemented, it "would be a new way of the Postal Service operating its exclusive control over everyone's mailboxes — no doubt about that," Postal Regulatory Commission Chairman Robert Taub says. Taub, a Trump appointee who heads the independent agency that oversees the Postal Service, says the recommendation wouldn't have come about if the agency wasn't in such a dire financial state. "Although we would have to review the details, as long as we could get along with the conditions, we would look at it as a positive step" to boost revenue, Taub says. Transportation analysts have said giving mailbox access to companies like UPS and FedEx would allow them to serve their customers faster — simply by shaving off the time it takes for a courier to walk to someone's doorstep, particularly in rural areas. There are plenty of other ways to increase revenue — like decreasing the "unfair burden" of pre-funding future employees' retirement, he says. "Some of these future employees haven't even been born yet." Or the Postal Service could be allowed to provide a greater array of financial services, such as expanding money order and check-cashing services, Dimondstein says. And places as rural and isolated as Anaktuvuk Pass are hard for UPS or FedEx fleets to reach. Dimondstein says these companies pay the Postal Service to ship their own parcels "millions and millions" times a week rather than deal with logistics themselves. "Why? Because they cannot make money going to where that package is going," he says. A spokesperson for FedEx declined to provide a comment to NPR. David Abney, the CEO of UPS, has said he's willing to look into accessing mailboxes once more details become available. "If you move, the post office will find you and they'll get you your letters and they'll get you your package. And FedEx and UPS won't do that," says Cassey Francis, a hairdresser from Iowa. She grew up the daughter of two letter carriers. "Even though it may seem from time to time that the post office isn't the most efficient," Francis says, "they're really doing an incredible thing."